So, today marks the first day of September. 2013, why are you going by so quickly? I’m going to blink once and my mom and baby sister will be headed back to Africa, and then I’ll blink twice and it will be time for Kate’s play, and a third time and we’ll be on our way to Berlin. Can you say holy crap? 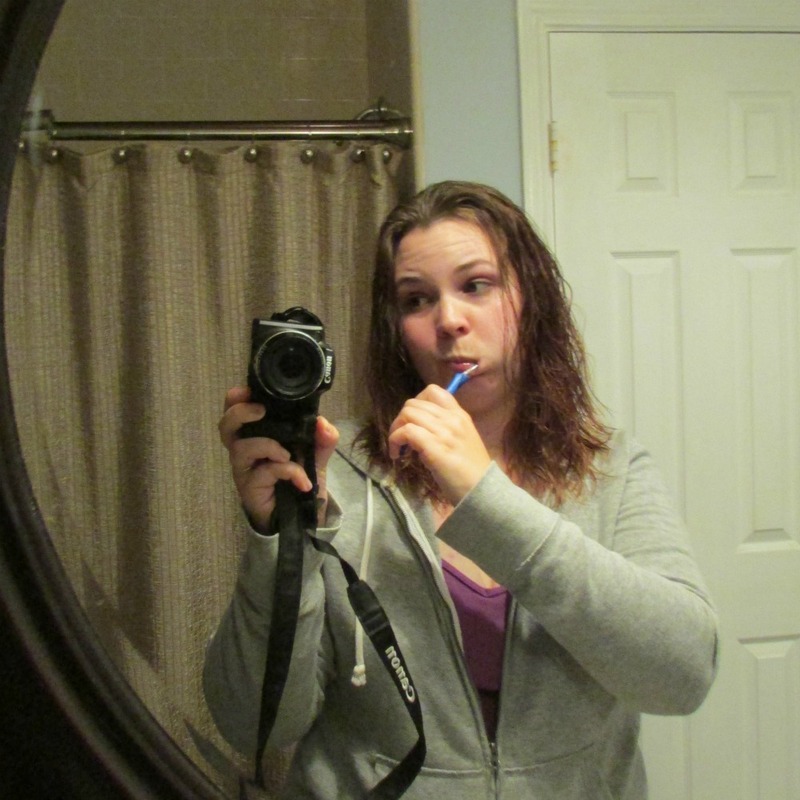 So, without too much more pomp and circumstance, I give you my picture for September 1, me brushing my teeth! Part of the reason I’m posting this is to have a decent reference for how long my hair is, because I’m going to NOT cut it in Germany. Getting bangs/fringe cut before we leave and maintaining it while we’re over there is still up for debate though! Because I really do like how I look with them… hmmm…. Also, what do you think of our camera upgrade? Not an DSLR, but neither of us is a pro, so JP and I didn’t feel like we wanted to put up the cash for one just yet — also, if you lose a $200 camera running around Europe it’s a much smaller deal than losing a $500+ one! Alright, time to go see if JP has activated zombie mode on Red Dead Redemption — he finished the game earlier and wasn’t 100% happy with the ending. He said it was kinda sudden.